Your final real birdie chance, but beware and do not try and bite off much of the corner as it is deceptive. The best line is at the 3 tall trees on the horizon forming a aquare. There is plenty of room to the left if you can clear the initial gorse. 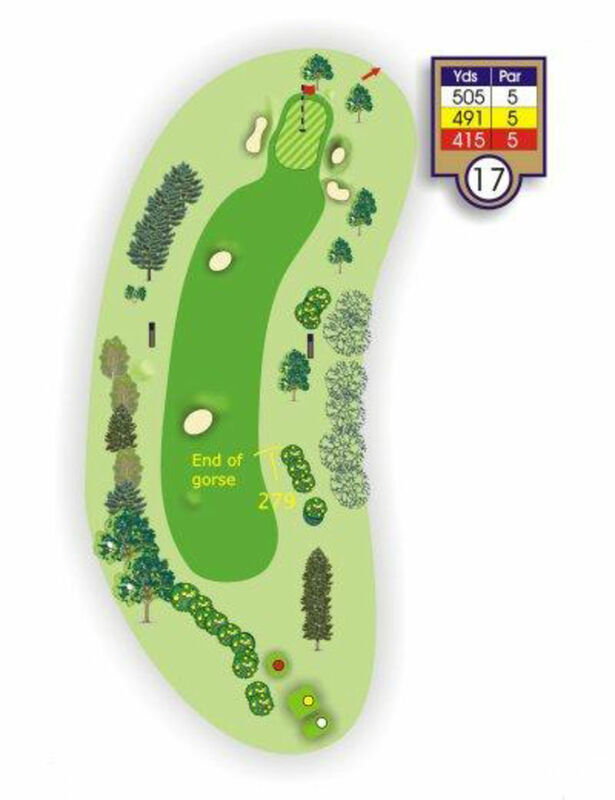 The second shot tends to kick to the left and another long green needs a well judged approach.